In decades past, the images and symbols that could be engraved onto a headstone seemed to tend toward the generic – praying hands and harp-strumming cherubs come to mind. While tastefully rendered, such images were nevertheless akin to clip art. Today, the choices in customization of the design of a headstone are greater than they have ever been. And when it comes to the design of a monument that will forever mark the final resting place of a deceased loved one, more choice is always a good thing. Now some things never change. The name of the deceased, writ large along with the dates of birth and death, have and will always be the most important pieces of information on any monument. But the realism of images that are able to be reproduced in granite are far superior to those produced just a few years ago. Imagine your favorite photo of a deceased loved one reproduced in stone so realistically that it looks like a photograph. Today, whatever you can imagine is possible. In a headstone. Welcome to the state of the art. The reason for this advancement is a process called laser etching or engraving. It involves using a computer-controlled engraving machine to reproduce any image – from fonts and symbols to actual photographs – directly onto the surface of the granite. Known as computer numerical control or CNC machines, they produce images that are photo-realistic and highly detailed. Some engravers can even reproduce images onto granite slabs much larger than a typical headstone, as large as 6 feet by 10 feet. 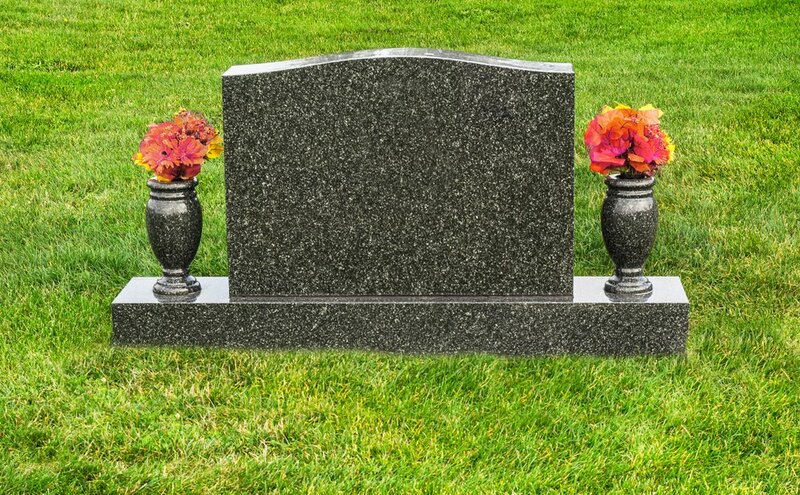 Unlimited photography, such as pictures of a majestic mountain range or an inspiring sunrise to cover the entire face of a headstone as a background for an image of the deceased. Religious iconography and corporate logos – think about the highly detailed logos of civic clubs and sports teams. Creative typography, to best arrange type to make the headstone not only legible but appealing, including unlimited font choices. In some design processes, all of the myriad combinations of images, symbols and photos mentioned above can all be reproduced in full color or sepia tone. A quick internet search for “customized headstones” will bring up hundreds of pictures of laser-etched headstones with photo-realistic designs that people have already created, which demonstrates a simple fact. There is a new thinking behind not only what is possible in the design of headstones, but also in what is acceptable. Monuments designed with a “less is more” mentality will always be in vogue, with a simple declaration of the deceased’s name and dates of birth and death. Families, however, who choose to honor their deceased loved ones with a computer-etched headstone can do so with the assurance that their choice is just as valid. And the same internet search will produce numerous hits for companies across the nation that specialize in producing this kind of monument, indicating a growing demand for the process. With teams of artists and designers on staff, these companies stand ready to help their customers create the perfect headstone design that honors the memory, interests and personality of the deceased. Laser-etched headstones can even be used to honor the memory of pets. With the pros laid out, now we come to the con. Laser-etched headstones do have one flaw: They tend not to be as long-lasting as their classically deep-cut, sand-blasted cousins. Etching can be a shallow process, and because the design does not go as deep into the surface of the granite, the designs are prone to degrade faster, with the possibility of some of the fine details getting lost. The relatively new technology of computer-etching in headstone design is but one aspect of a funeral industry that is evolving to provide choices to its customers that go beyond “staid and stoic.” While not exactly part of the trend toward nontraditional funerals, computer-etched headstones do represent a thoroughly modern take on a centuries-old product. If you’re in need of a monument or marker, and would like to work with an experienced designer who can help you create a beautiful memorial that honors the life and legacy of your lost loved one, call Bevis Funeral Home at (850) 385-2193 to speak with a general agent.